The Mozilla Developer Network describes the basic principle in detail, however, does not include any examples with inner blocks like this. So, there is effectively a single variable that gets reused every time round the loop. Given you do the iterations one after another this is perfectly fine … until you need a closure. which fetches the value and then calls callback(value) when it is ready. So all the callbacks point to the same ‘item’, which ends up as the one from the last iteration. In this case the code is updating an onscreen menu, so only the last item got updated! The anonymous function immediately inside the for loop is simply there to create scope for the item variable, and effectively means there is a fresh variable to be bound to the innermost function. It works, but you do need to be confident with anonymous functions! I am using HTML5’s offline mode as part of the Tiree Mobile Archive project. This is, in principle, a lovely way of creating web sites that behave pretty much like native apps on mobile devices. However, things, as you can guess, do not always go as smoothly as the press releases and blogs suggest! 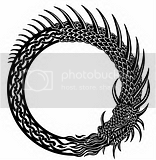 Some time I must write at length on various useful lessons, but, for now, just one – the potential for an endless cycle of caches, rather like Jörmungandr, the Norse world serpent, that wraps around the world swallowing its own tail. My problem started when I had a file (which I will call ‘shared.prob’ below, but was actually ‘place_data.js’), which I had updated on the web server, but kept showing an old version on Chrome no matter how many times I hit refresh and even after I went to the history settings and asked chrome to empty its cache. To make a web site work off-line in HTML5 you simply include a link to an application cache manifest file in the main file’s <html> tag. The browser then pre-loads all of the files mentioned in the manifest to create the application cache (appCache for short). The site is then viewable off-line. If this is combined with off-line storage using the built-in SQLite database, you can have highly functional applications, which can sync to central services using AJAX when connected. Of course as you work on your site you are likely to end up with different versions of it. Each version has its own main html file and manifest giving a different appCache for each. This is fine, you can update the versions separately, and then invalidate just the one you updated – particularly useful if you want a frozen release version and a development version. Of course there may be some files, for example icons and images, that are relatively static between versions, so you end up having both manifest files mentioning the same file. This is fine so long as the file never changes, but, if you ever do update that shared file, things get very odd indeed! I will describe Chrome’s behaviour as it seems particularly ‘aggressive’ at caching, maybe because Google are trying to make their own web apps more efficient. First you update the shared file (let’s call it shared.prob), then invalidate the two manifest files by updating them. Next time you visit the site for appCache_1 Chrome notices that manifest_1 has been invalidated, so decides to check whether the files in the manifest need updating. When it gets to shared.prob it is about to go to the web to check it, then notices it is in appCache_2 – so uses that (old version). Now it has the old version in appCache_1, but thinks it is up-to-date. They seem to keep playing catch like that for ever! The only way out is to navigate to the pseudo-url ‘chrome://appcache-internals/’, which lets you remove caches entirely … wonderful. But don’t know if there is an equivalent to this on Android browser as it certainly seems to have odd caching behaviour, but does seem to ‘sort itself out’ after a time! 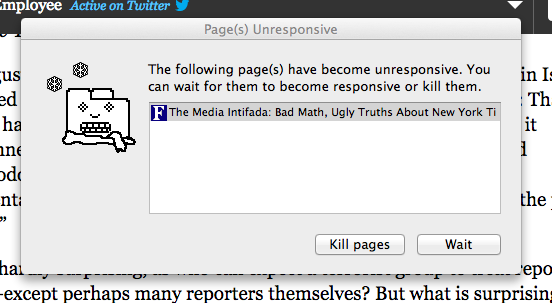 Other browsers seem to temporarily have problems like this, but a few forced refreshes seems to work! To be fair the cache cycle more of a problem during development rather than deployment, but still … so confusing. These are some sites I found useful for the application cache, but none sorted everything … and none mentioned Chrome’s infinite cache cycle! The W3C specification – of course this tell you how appCache is supposed to work, not necessarily what it does on actual browsers! It is called “A Beginner’s Guide to using the Application Cache”, but is actually pretty complete. Really useful quick reference, but: “FACT: Any changes made to the manifest file will cause the browser to update the application cache.” – don’t you believe it! For some browsers (Chrome, Android) you have to add your own checks in the code (See “Updating the cache” section in “A Beginner’s Guide …”).). Wonderful on-line manifest file validator checks both syntax and also whether all the referenced files download OK. Of course it cannot tell whether you have included all the files you need to. Papers are online for the Alt-HCI trcak of British HCI conference in September. These are papers that are trying in various ways to push the limits of HCI, and we would like as many people as possible to join in discussion around them … and this discussion will be part of process for deciding which papers are presented at the conference, and possibly how long we give them! Here are the papers — please visit the site, comment, discuss, Tweet/Facebook about them. do conference reviews get it right? is it possible to measure this? doing vs talking – would you swop seminars for hack days? website design – can you find perfect words and structure for everyone? lots of photos, devices, people – how to see them all? are people peeking at your passwords? what’s the real security problem? do you want to make thing teens think cool? find out how! paper #201 — A computer for the mature: what might it look like, and can we get there from here? over 50s have 80% of wealth, do you design well for them? open data: for all or the few? That is, it is not clear that just because data is open to all, it can be used equally by everyone. In particular it will tend to be the powerful (governments and global companies) who have the computational facilities and expertise to exploit openly available data. In India statistics about the use of their own open government data1 showed that the majority of access to the data was by well-off males over the age of 50 (oops that may include me!) – hardly a cross section of society. At a global scale Google makes extensive use of open data (and in some cases such as orphaned works or screen-scraped sites seeks to make non-open works open), but, quite understandably for a profit-making company, Google regards the amalgamated resources as commercially sensitive, definitely not open. Open data has great potential to empower communities and individuals and serve to strengthen democracy2. However, we need to ensure that this potential is realised, to develop the tools and education that truly make this resource available to all3. If not then open data, like unregulated open markets, will simply serve to strengthen the powerful and dis-empower the weak. 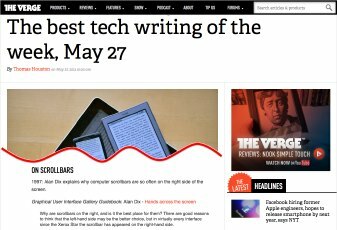 Thanks to Marcin Wichary for letting me know that my 1997/1998 Interfaces article “Hands across the Screen” was just named in “Best Tech Writing of the Week” at The Verge. Some years ago Marcin reprinted the article in his GUIdebook: Graphical User Interface gallery, and The Verge picked it up from there. Hands across the screen is about why we have scroll bars on the right-hand side, even though it makes more sense to have them on the left, close to our visual attention for text. The answer, I suggested, was that we mentally ‘imagine’ our hand crossing the screen, so a left-hand scroll-bar seems ‘wrong’, even though it is better (more on this later). Any appreciation is obviously gratifying, but this is particularly so because it is a 15 year old article being picked up as ‘breaking’ technology news. Interestingly, but perhaps not inconsequentially, the article was itself both addressing an issue current in 1997 and also looking back more than 15 years to the design of the Xerox Star and other early Xerox GUI in the late 1970s early 1980s as well as work at York in the mid 1980s. Of course this should always be the case in academic writing: if the horizon is (only) 3-5 years leave it to industry. Academic research certainly can be relevant today (and the article in question was in 1997), but if it does not have the likelihood of being useful in 10–20 years, then it is not research. At the time about 90% of CHI citations were either to work in the last 5 years, or to the authors’ own work, to me that indicated a discipline in trouble — I wonder if it is any better today? When revising the HCI textbook I am always pleased at the things that do not need revising — indeed some parts have hardly needed revising since the first edition in 1992. These parts seem particularly important in education – if something has remained valuable for 10, 15, 20 years, then it is likely to still be valuable to your students in a further 10, 15, 20 years. Likewise the things that are out of date after 5 years, even when revised, are also likely to be useless to your students even before they have graduated. In fact, I have always been pleased with Hands across the Screen, even though it was short, and not published in a major conference or journal. It had its roots in an experiment in my first every academic job at York in the mid-1980s, when we struggled to understand why the ‘obvious’ position for scroll arrows (bottom right) turned out to not work well. After a detailed analysis, we worked out that in fact the top-left was the best place (with some other manipulations), and this analysis was verified in use. As an important meta-lesson what looked right turned out not to be right. User studies showed that it was wrong, but not how to put it right, and it was detailed analysis that filled the vital design gap. However, even when we knew what was right it still looked wrong. It was only years later (in 1997) that I realised that the discrepancy was because one mentally imagined a hand reaching across the screen, even though really one was using a mouse on the desk surface. Visual (and other) impressions of designers and users can be wrong; as in any mature field, quite formal, detailed analysis is necessary to compliment even the most experienced designer’s intuitions. The original interfaces article was followed by an even shorter subsidiary article “Sinister Scrollbar in the Xerox Star Xplained“, that delved into the history of the direction of scroll arrows on a scrollbar, and how they arose partly from a mistake when Apple took over the Star designs! This is particularly interesting today given Apple’s perverse decision to remove scroll arrows completely — scrolling now feels like a Monti Carlo exercise, hoping you end up in the right place! Actually it is not as easy as simply moving buttons around the screen; we have expectations from large screen GUI interfaces that we bring to the small screen, so any non-standard positioning needs to be particularly clear graphically. However, the diverse location of items on web pages and often bespoke design of mobile apps, whilst bringing their own problems of inconsistency, do give a little more flexibility. So today, as you design, do think “hands”, and left hands as well as right hands! And in 15 years time, who knows what we’ll have in our hands, but let’s see if the same deep principles still remain. The list above is made by hand, but look at this example page to see the script in action. See the favicon code page for a more detailed explanation of how it works and how to use it in your own pages.